I have soo much I can say, but I will just keep it simple. This ball is an absolute monster. Strong midlane reaction, continuous through the pin deck. The ball just keeps coming. First thing out the bag on fresh. Gets through the heads and doesn't over-react on the dry. Hits great and carries those light shots better than ever. 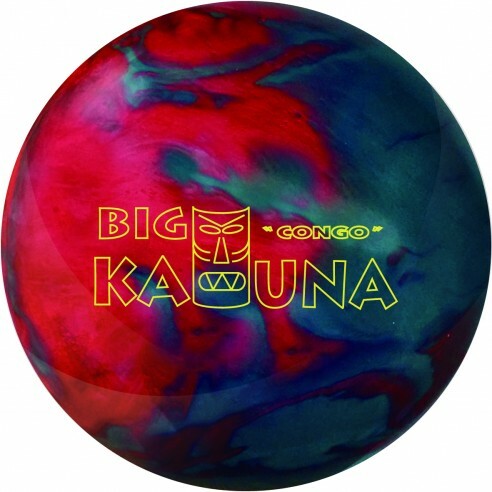 Great compliment to the Big Kahuna Tribal. This one goes longer and is more angular. The best way to describe this ball is benchmark potential! The ball dominates medium conditions and has the ability to even handle medium/heavy shot with relative ease. This ball has more of a natural arc, and provides a great alternative to any skid/flip equipment you are using, and being a 2 piece, hits with tremendous power. This is a rare ball that I will buy multiple because of its versatility. You can't go wrong with this one. If I could give this ball more than 5 stars I would. I have been a 220+ average house bowler for years and in all of that time 800 has eluded me. I was one of the first people to get this ball and I decided to use it in league right after it was drilled. I shot 806 with it. The ball hit like a tank all night, never left one corner pin, and kept me out of trouble all night. I have it drilled to go long and as a sanded Pearl, man does this thing hit! This ball I had to polish and it made it hit hard. It gets through the heads and doesn't over-react on the mid-lanes. It hits like a freight train. This one goes longer and is more angular. Drilled 5-3-4 ball is very smooth and strong. Rolls through the fronts and miss with ease and make a strong recovery. One word. Amazing!!! This ball is so clean up front and smooth yet strong on the back-end. Doesn't over react to the dry. Get this ball and get it now. I love this ball so much I'm thinking about getting another one. gets through the heads and doesn't over-react on the dry. strong mid lane reaction continuous through the pin deck. this ball just keeps on going.